Now that we have finally hit January, competition is fast approaching! With less than a month to go, our team is hard at work finishing up the toboggan and technical exhibition display components for shipping to Edmonton. The Media Branding side has finally finished the design of the team’s Stone Age theme logo! This logo will be used throughout the competition and on the team’s swag, including on t shirts and patches. These past weeks, the team has been finalizing a t-shirt design and proceeding to order the team’s swag for competition. Updates to the website have also been done to ensure that the website is ready for competition with up to date content. 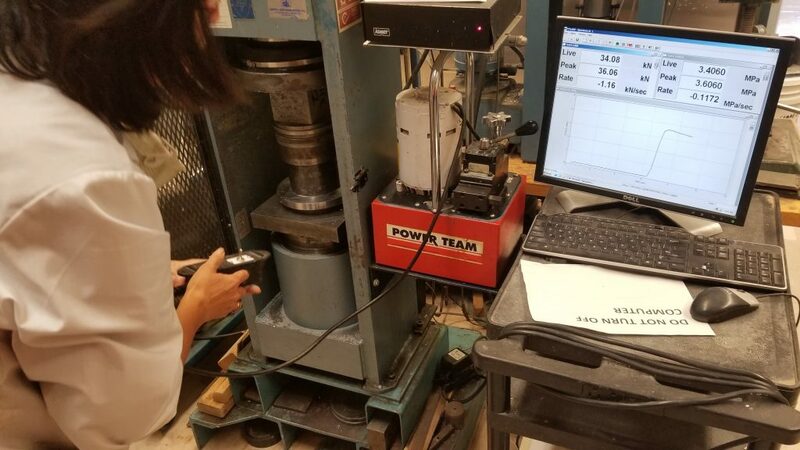 Since the last newsletter, the concrete team has been spending countless hours in the lab mixing and testing concrete. The team has tested three concrete mixes and have finalized the mix that will be used for competition based on factors such as strength and workability, and have chosen to use an innovative and sustainable reinforcement for the skis. On the ski-shape side, the Concrete team has been testing potential ski shapes using 3D printed models. The team added a weight to the 3D printed skis and tested the speed and trajectory on real snow, to simulate competition race day environments. Using those results, the team chose the final ski shapes that will be used in competition and sent their shape design to be CNC’d into a model that can create a thermoformed mould for the concrete pouring of the skis. In the final weeks leading up to competition, the Concrete team will be pouring the final skis, and making sure they are smooth as possible through waxing and other means. The Technical Exhibition (Tech-Ex) team is hard at work painting murals and building both the interactive & display components for the Tech-Ex event. 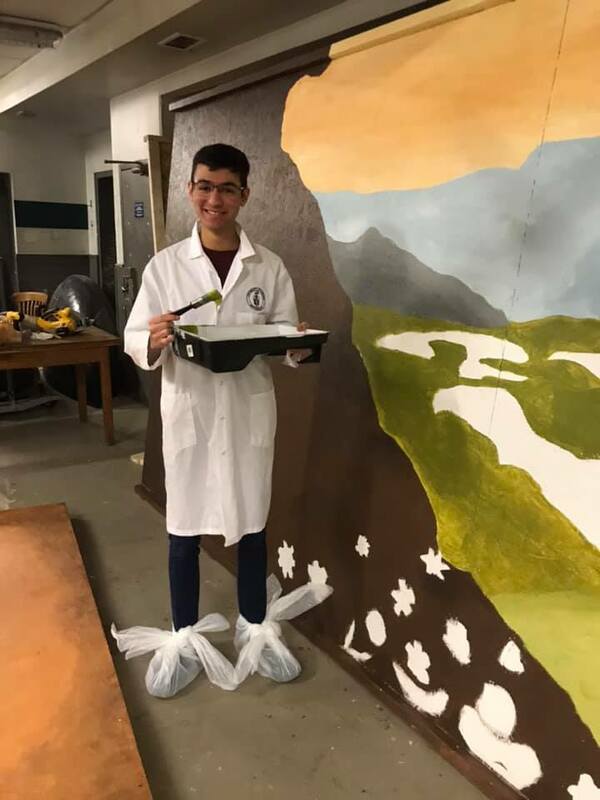 Since the last newsletter, the team has been designing a tech-ex mural background that would go with our “Stone Age” theme, and making that design come to life through painting. As mentioned previously, the Tech-Ex event includes both informative and interactive components, therefore the team has also been brainstorming various interactive activities to include in the display. One of the activities will be the strength test. The team is currently designing a machine for the activity and hope to create a very caveman looking strength test machine. Other aspects of focus for Tech-Ex include creating the posters used to display the technical information of the toboggan and finish building the crate that will be used to ship the toboggan to Edmonton. 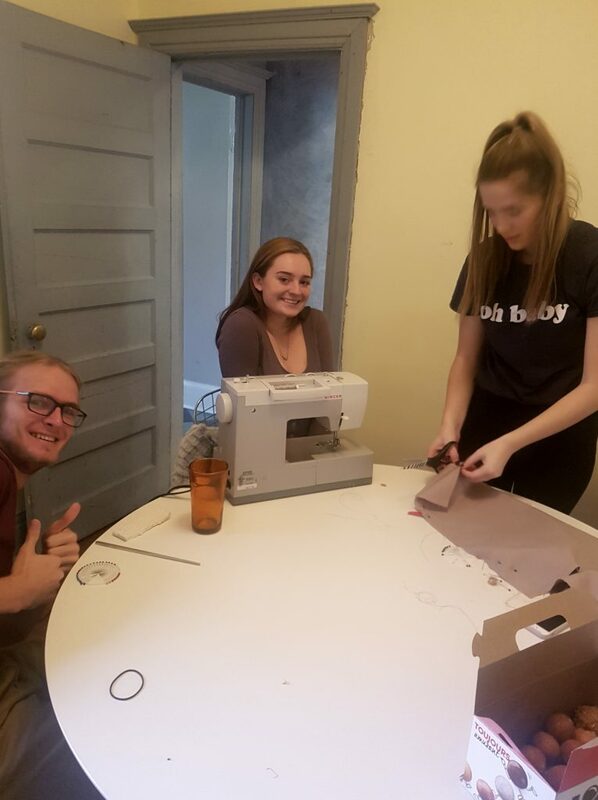 As competition approaches, the Theme team is busy creating costumes for all 30 members of the team. The team has collected measurements and have bought all the supplies needed. The next steps will involve lots of sewing and making of costume accessories to ensure that we will look like one cohesive Stone Age team at the competition. The Theme team is also on the hunt for our team’s Spirit Captains! Spirit Captains will play a crucial role in encouraging the team in participating and bringing spirit to all aspects of competition. Spirit plays a large role in the competition and is an important factor in the final results of teams. With the guidance of the Spirit Captains, our team will be energetic and strong representatives of our Stone Age theme throughout the competition. The fabrication team has spent many hours this month on their new process of creating a female mould for the toboggan shell. This involved many preparation hours to ensure that the mould would be perfect. With all the preparation work done throughout the month, the team created the mould in a single day, starting early in the morning and working throughout the night. The team took the mould to post-cure in a composite oven as well. Looking forward, the team plans to use this mould to create their shell, which will then be connected to the rest of the superstructure design. The team also purchased and machined all their metal parts needed for the steering and braking mechanisms. 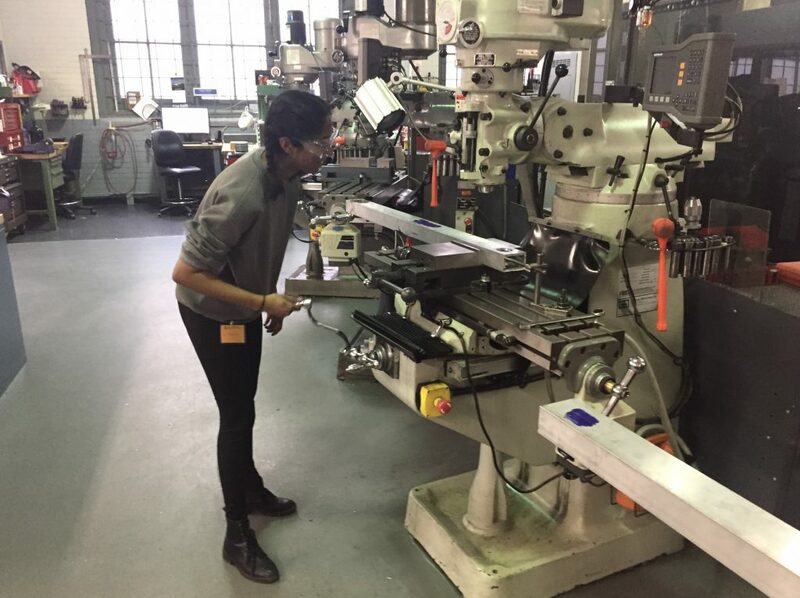 New members were given the opportunity to use the university’s machine shop to drill, lathe, cut, and mill superstructure parts out of aluminum and steel. With all the parts cut and machined, the team is excited to weld everything together in the next few weeks. Website developed by SG (2017).